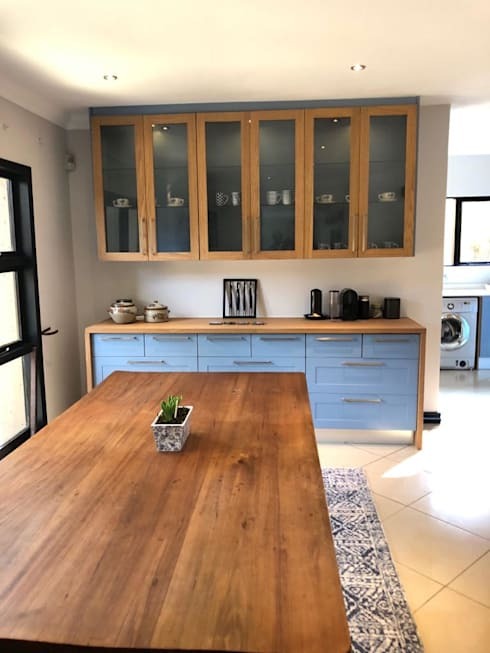 The heart of the home; the favourite socialising space; the cooking hub… so many terms come to mind when thinking of the kitchen, and with good reason! 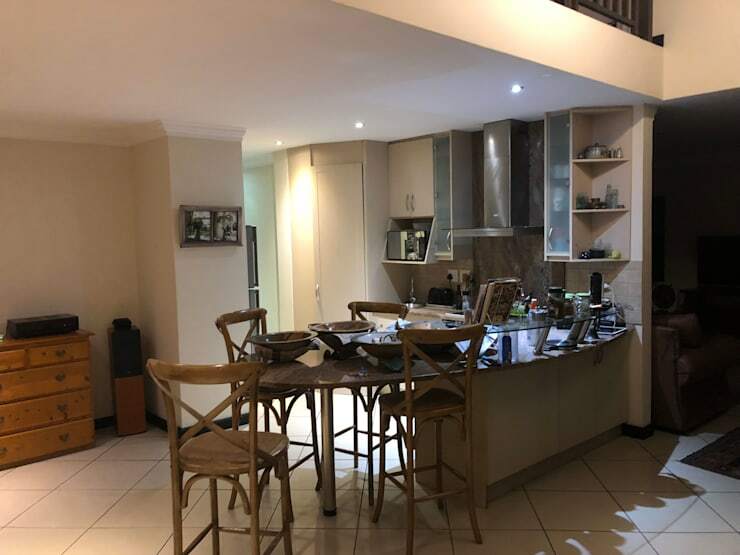 Where else in the home can we whip up tantalising bites, socialise with friends, wine and dine, engage in after-hours work, let the kids do their homework, etc? And since modern kitchens have become so practical (much more functional than the mere cooking-and-baking rooms they used to be), we applaud anybody giving their kitchen a new look via a renovation or mere little style touch-ups. But let’s zoom in on that adjoining dining area for a second, where an heirloom table (ensuring loads of style and character) perfectly matches up with the new cabinetry. 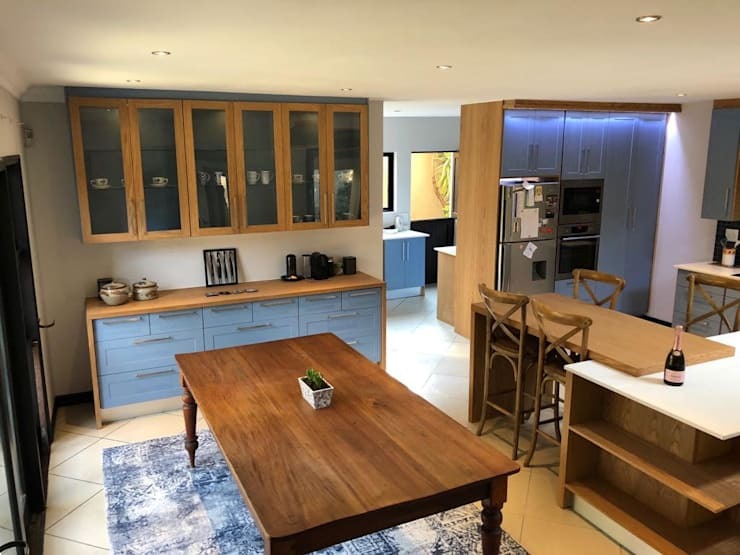 This might be an open-plan layout, but one can definitely pick up on the subtle links matching the dining- with the cooking area, such as the cool blues of the dining area’s rug perfectly mimicking those of the kitchen cabinets. For a modern (and very practical) touch, subtle strip lights were added to the grocery cupboard in the back. 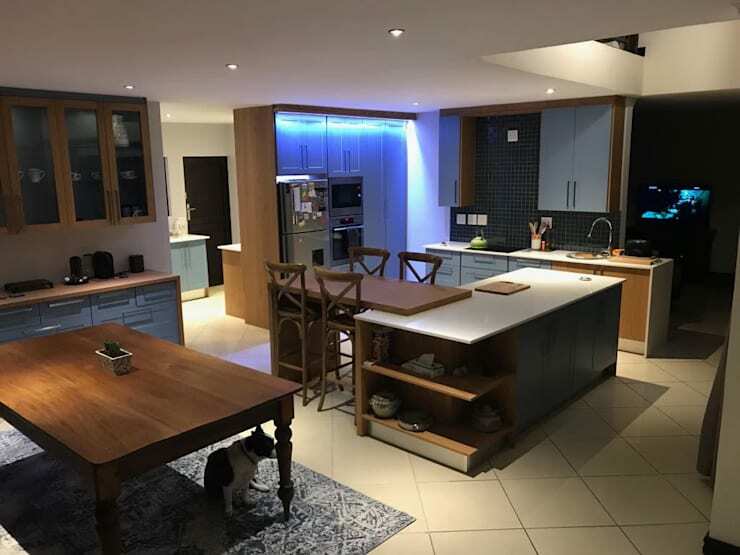 Interestingly, this fixture’s glow can be switched to a warm light when required, making this kitchen renovation even more versatile than we originally thought! 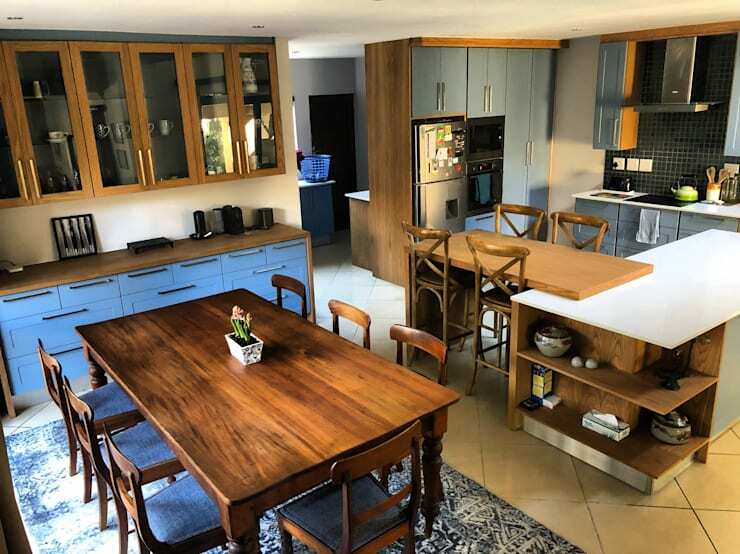 A quick glance at what this kitchen looked like before the pros intervened: an impractical, undistinguished space that didn’t flaunt nearly as much style and social presence as its new, renovated look. A successful kitchen makeover that truly shows what is possible with the right professionals and the right ideas. Before you unnecessarily splurge on style, have a look at Wise spending: Our top kitchen renovation ideas.